There are two ways of looking at Kyle Walters’ handiwork on the first day of the Canadian Football League livestock auction. It seems to me that the Winnipeg Blue Bombers’ most pressing need going into free agency was a pair of hands capable of latching onto quarterback Matt Nichols’ offerings more than five yards down the field. 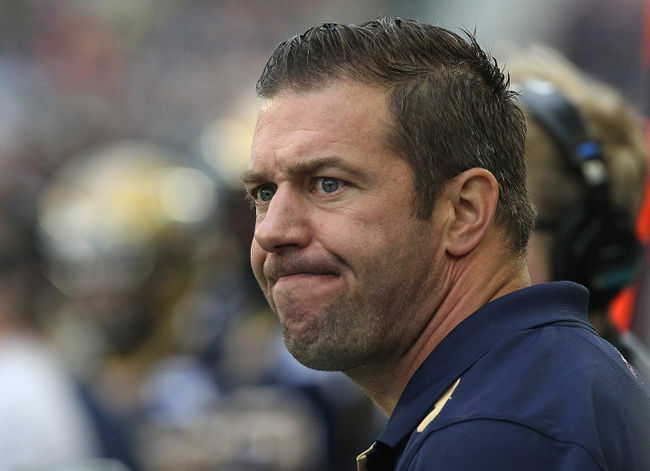 A lickety-split, big-play, go-up-and-get-it guy who wins the majority of those one-on-one, game-changing battles with cornerbacks and DBs should have been at the top of the Winnipeg FC general manager’s shopping list. You know, someone like Derel Walker would look good in Blue and Gold. Or DaVaris Daniels. Or Naaman Roosevelt. At any rate, we’re told that Walters pitched woo, also serious coin, at some of the three-down game’s prime pass-catchers on a frenzied Day 1 of the annual cattle call, but they played Lucy van Pelt to his Charlie Brown. Whoomph! Swing and a miss. Thus, he’s still looking for that special pair of paws. That’s significant because, on paper, the Bombers offence is noticeably weaker than the group of 12 that failed to find the end zone in the West Division final last November. Gone are O-linemen Matthias Goossen, who’d rather chase bad guys in B.C. (he’s going to be a cop), and Sukh Chungh, who’d rather be Mike Reilly’s bodyguard in B.C. than keep Nichols vertical in Good Ol’ Hometown. Given that Nichols is as mobile as a La-Z-Boy rocker, that’s a huge hit. There are, however, glad tidings. Very glad tidings. 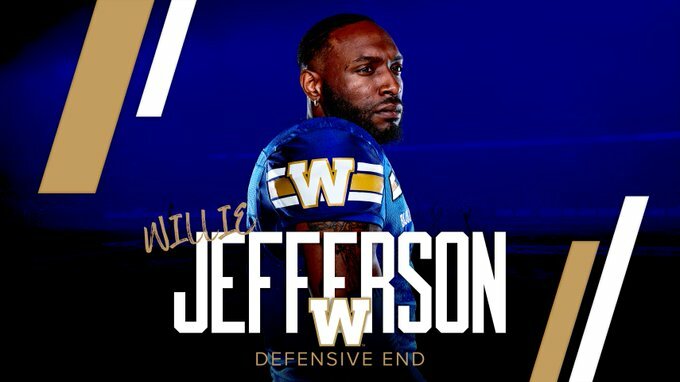 That is, Walters has convinced Willie Jefferson to do his QB pillaging at Football Follies Field in Fort Garry, so Winnipeg FC might only require placekicker Justin Medlock’s left leg to get the job done offensively in 2019. I mean, who’s going to score on the Bombers? D-coordinator Richie Hall can simply dial up 1-800-GET-SACK and if Jefferson isn’t in the QB’s kitchen, Jackson Jeffcoat will be. Should the J-Boys falter, Beastmo Bighill will be right behind to tidy things up. Just call them the Monsters of Mayhem. It’ll remind the rabble of the Bombers jail-break defence of James (Wild) West, Tyrone Jones and Greg Battle. So, ya, Walters coughed up a football-size hairball in his receiver search on Tuesday, and he has to do better. Good paws are still out there. For now, though, Jefferson is a boffo consolation prize. 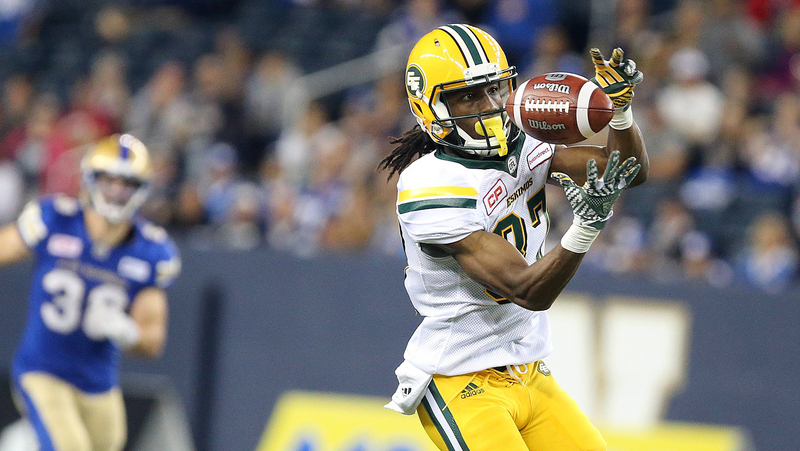 Here’s the question I found myself asking once the dust had settled on Day 1 of CFL free agency: Why is it that the available pass-catchers passed on Good Ol’ Hometown? We know Greg Ellingson abandoned Bytown for Edmonton because he wants to keep playing catch with QB Trevor Harris, but what scared the rest of them off? Like, is DeVier Posey serious? He’d rather run routes and dive for Johnny Manziel’s flutter balls in Montreal? So perhaps the hangup is O-coordinator Paul LaPolice’s dink-and-dunk scheming. The Bombers go deep about as often as Chris Walby passes on second helpings, and that can’t be appealing to the pass-catching divas. Then, again, maybe it comes down to the QB. Given a choice, do you want Bo Levi Mitchell, Mike Reilly, Harris or Nichols hurling the rock your way? I know who I wouldn’t choose. Yoo hoo! Tranna Argonauts! Anybody home? 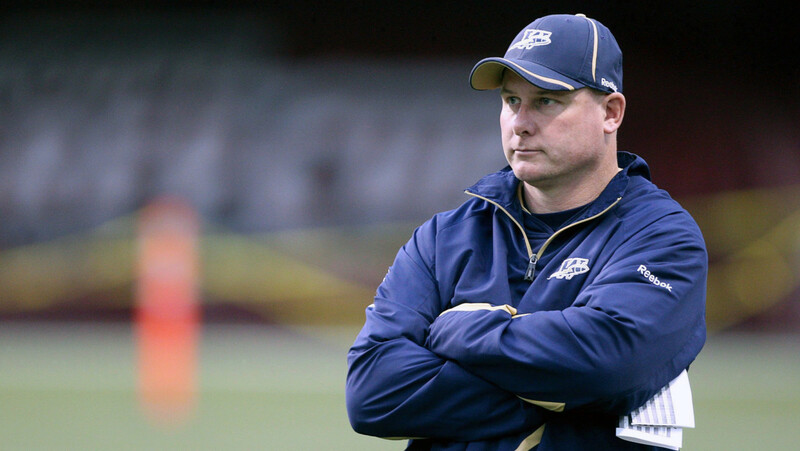 Or did Jim Popp sleep in late? Seriously. All the plums had been plucked by the time the Tranna Argonauts GM joined the fun on Tuesday, and that’s a head-scratcher. No franchise needed a jaw-dropping, headline-churning addition more than the Boatmen, yet it was all fizzle and no sizzle. Chris Rainey, Mercer Timmis and Kevin Fogg aren’t going to put people in the pews at BMO Field in the Republic of Tranna, leaving us to wonder how low the head count will go in 2019. Do I hear an average audience of 10,000? Less? Never mind attendance in The ROT. What will happen in Bytown now that the RedBlacks have lost starting QB Harris, one of their top two receivers, their starting running back, and one of their starting O-linemen? I fear the worst. Assuming the league and workers come together on a fresh Collective Bargaining Agreement and there will, in fact, be a 2019 CFL season, it might become a total embarrassment. I say that because, based on Tuesday’s troop movement, the West-East imbalance of power has never been greater. You can’t compete without quality quarterbacking, and the Hamilton Tiger-Cats (Jeremiah Masoli) are the only outfit that has it east of the Manitoba-Ontario border. I can see the Tabbies finishing first in the East Division with a sub-.500 record, while the bottom feeder in the West Division is plus-.500. That would make a mockery of the Grey Cup runoff. I’ve never been an advocate of a one-division, top-six playoff format, but this could be the time to do it. And, finally, the B.C. Lions will be paying two players—Reilly and Chungh—a combined $1 million per annum. In Lotus Land, that ought to be enough for them to afford a room at the local Sally Ann’s. Phil Mickelson and Henrik Stenson. My goodness, what a glorious finish to the Open Championship at Troon, Scotland. 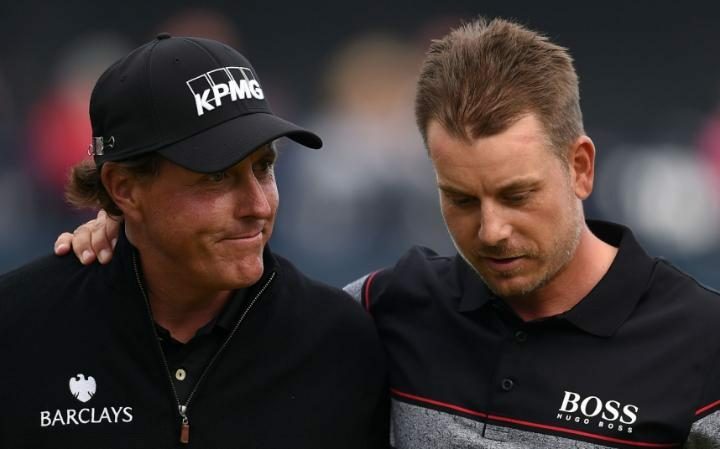 It was mano-a-mano, Henrik Stenson vs. Phil Mickelson for the honor of being introduced by some stiff British upper lip as “golf champion of the year.” Mickelson played bogey free, shooting 65. When you’re in the final pairing on a Sunday at a golf major and you take just 65 swings, you expect to be holding a trophy and a winner’s cheque on the 18th green. Not this time, though. Mickelson’s 65 wasn’t good enough. Not by two strokes! Stenson, whose closing, record-equaling 63 made him the first Swede to win the Claret Jug, and Mickelson delivered an epic. It was as riveting a final round of golf as you’re apt to see. The Tom Watson-Jack Nicklaus duel of 1977 was classic. This was Classic-plus. I don’t know about you, but I was root, root, rooting for Stenson to claim the Claret Jug, in part because he’d never won one of golf’s majors and I have a soft spot for Swedish people. But there’s also something about Phil Mickelson that I find grating. Perhaps it’s Lefty’s goody-two-shoes persona. Maybe it’s his prissy fist pump and his dainty putting grip. I know, I know…that’s dumb. But I can’t help it. He’s too squeaky clean for me. So, Rory McIlroy smashes his 3-wood in a momentary hissy fit at the Open Championship and the club head snaps off. The Irishman’s little temper tantrum was met with ho-hum indifference by most, while the boys in the booth shared a few giggles about it on Sunday. Now, had that been Tiger Woods, what do you suppose the reaction would have been? He’d have been crucified. 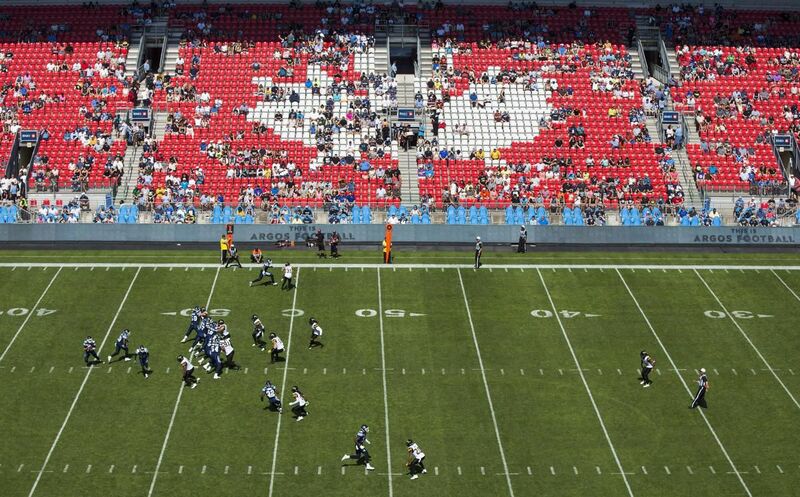 A typical scene at a CFL game. 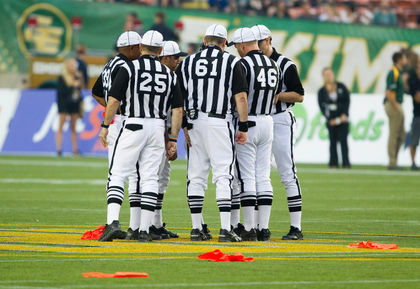 So, I’m watching a Canadian Football League game and (penalty flag) Kevin Fogg is hauled down after a 15-yard punt return (penalty flag), and the Winnipeg Blue Bombers (coach’s challenge) are told to move half the distance (coach’s challenge) toward their goal line before they can scrimmage the football (penalty flag). After (TV timeout) play resumes, quarterback Drew Willy (penalty flag) flings the football in the direction of Darvin Adams (coach’s challenge) and there’s jostling on the sidelines (penalty flag), where order is restored before (three-minute warning/timeout) one of the Bombers (coach’s challenge) does something stupid (injury/TV timeout). Total time playing football: 15 seconds. Total time for penalties, coach’s challenges, injury/TV/three-minute warning delays/timeouts: 25 minutes. Just wondering: Is Chris Jones still a genius, or is he only a genius when Mike O’Reilly is his quarterback? Jones, of course, went to Edmonton and turned water into Molson Canadian when his Eskimos went from Sad Sacks to Grey Cup champions. Now he’s trying to work similar hocus-pocus in Saskatchewan, but it isn’t going so well for the Roughriders head coach and grand poobah of everything football related. Gang Green, at 0-3, are all that’s keeping the Bombers our of the basement. Department of irony: Bobby Orr wants to slow down the game of hockey. What’s next? Don Cherry calling for a ban on fisticuffs and high collars? It’s true, though. No. 4 Bobby Orr, the revolutionary rearguard who made all others appear to be standing still while he went about the business of winning two National Hockey League scoring titles, wants to open up the game by slowing it down. “We’re losing too many players, too many injuries,” he tells TSN’s Gino Reda. Thus, he advocates bringing the centre-ice line back into play. I don’t know about you, but when Bobby Orr speaks I think we ought to listen. Serena Williams is not the greatest athlete. ESPN tennis gab guy Patrick McEnroe is not unlike many TV commentators who tend to get caught up in the moment and spew inflated superlatives that defy logic and stand in conflict with reality. McEnroe stared into the camera last weekend and declared Serena Williams to be “the greatest athlete of all time.” Oh, shut the front door, Little Mac. I doubt very much that Williams is a superior athlete to any man who’s ever won the world/Olympic decathlon or any women who’s won the world/Olympic heptathlon. 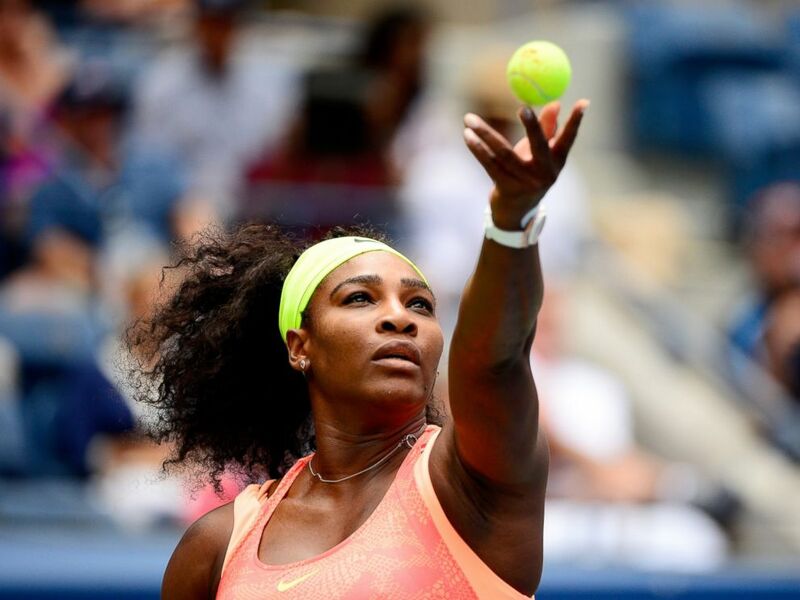 Williams, who claimed her 22nd Grand Slam singles title at Wimbledon, is not even the best tennis player of all time. She would be hard pressed to win a game, let alone a set, off either of the two chaps who contested the gentlemen’s final, Andy Murray and Milos Raonic. If you want to rate Williams as history’s finest female tennis player, fine. But let’s not get carried away. Based on her scribblings, Rosie DiManno of the Toronto Star is not fond of the Murrays, Andy and his bride Kim. According to rambling Rosie, Wimbledon champion Andy is “utterly humourless” and Kim is “prissy—except when mouthing obscenities.” I don’t know about you, but I can’t say that I know a whole lot of “prissy” potty-mouth girls. Yo! Don Cherry! I think most hosers agree that Remigio Peirera struck a sour note when he turned the Tenors’ version of O Canada into a political statement at the Major League Baseball all-star game. But to suggest the rogue tenor’s solo act makes all the “left-wing weirdos happy” is a bit much. I mean, you can call me a left-wing pinko, but don’t ever call me weird. Patti Dawn Swansson has been writing about Winnipeg sports for 45 years, longer than any living being. Do not, however, assume that to mean she harbors a wealth of sports knowledge or that she’s a jock journalist of award-winning loft. It simply means she is old and comfortable at a keyboard (although arthritic fingers sometimes make typing a bit of a chore) and she apparently doesn’t know when to quit. Or she can’t quit. She is most proud of her Q Award, presented in 2012 for her scribblings about the LGBT community in Victoria, B.C., and her induction into the Manitoba Sportswriters & Sportscasters Association Media Roll of Honour in 2015.